On 24th – 26th February 2017, 7FoodPillars team had a wonderful time exhibiting in Penang International Halal Expo 2017 (PIHEC 2017) held at Spice Arena, Penang. 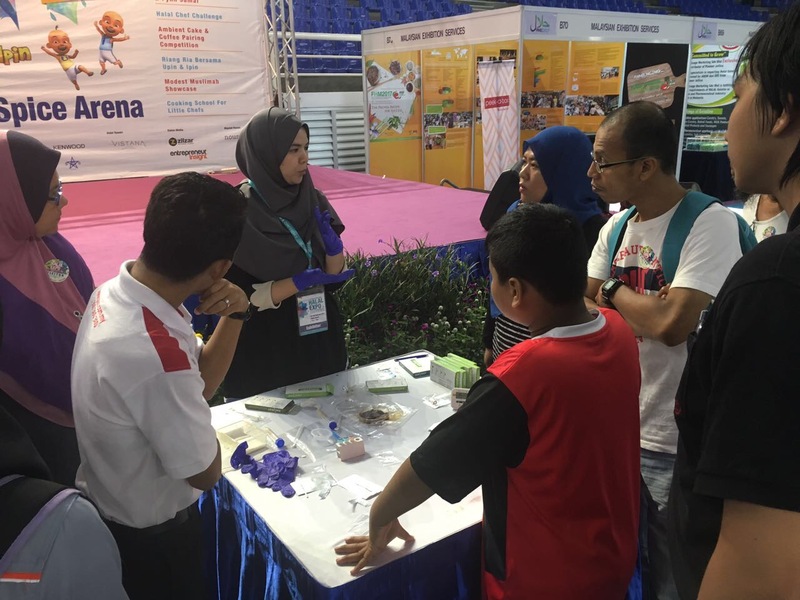 Together with our sister company, Halvec Laboratories, the 3-day expo was a great platform for us to showcase our products and services to international traders and visitors. 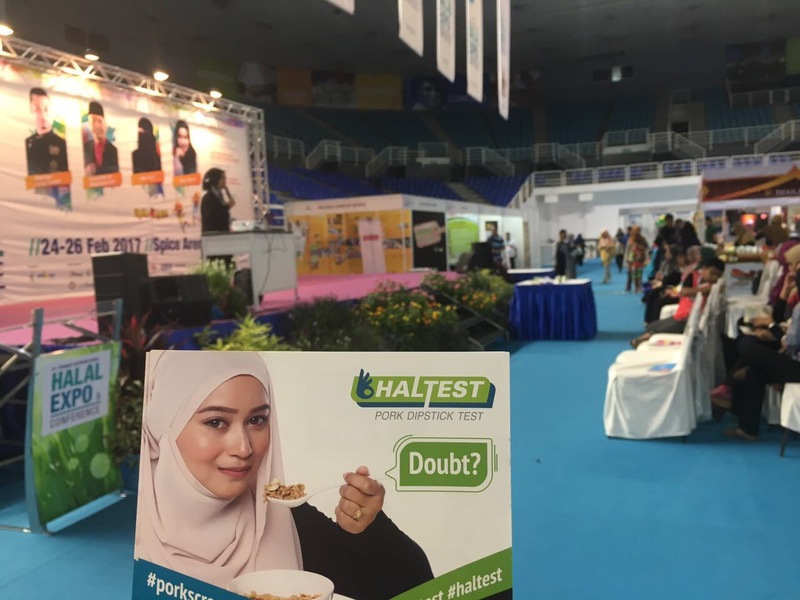 Along with the pocket talk session, the new product – HALTEST Pork Dipstick Test (HALTEST) was officially launched. 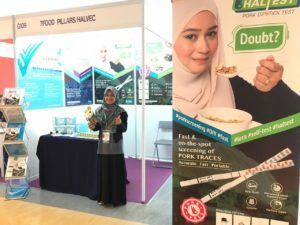 HALTEST is a simple and easy-to-use dipstick test designed to be used by general public to test presence of pork content in food such as raw meat, processed meat/canned food, gelatin etc instantly within 10-20 minutes. 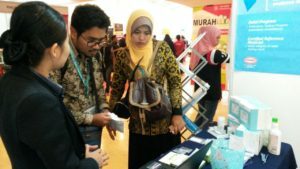 The product had attracted attention from the visitors who were amazed by how easy it was to self-test and screen for pork contamination. “Very often, especially Muslim travellers may encounter difficulty to access Halal food in overseas where they are not sure about the Halal integrity of the food they consumed. 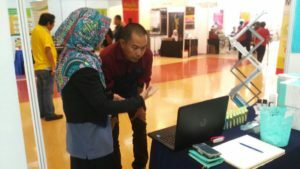 With HALTEST, there will be no more doubt (syubhah) as anyone can check, self-test and screen pork traces on-the-spot and get the result easily in minutes! 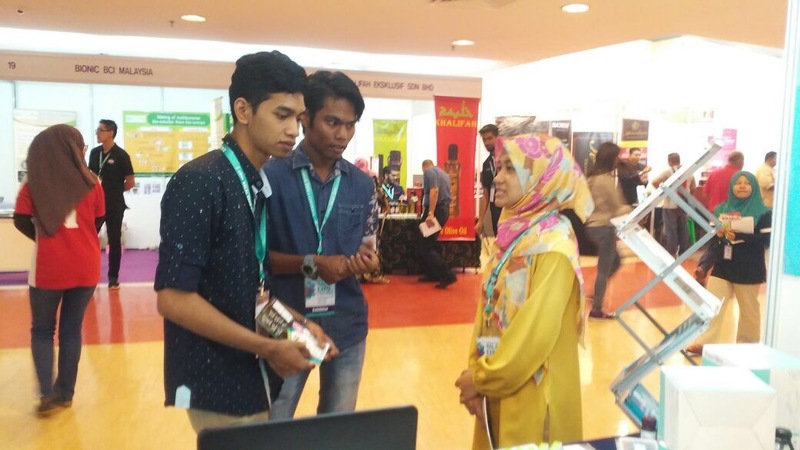 ” said Business Manager of 7FoodPillars. We would like to take this opportunity to thanks to all visitors who enrolled in “#7foodPillars #HALTEST #PorcineTrace” Selfie/Wefie, Hashatag & Win Facebook Campaign. Congratulation to all the winners! Thanks for your active participations! Till we meet again, PIHEC!